Thin mist rolled over the vast expanse of even, green grass in the egress of a deep valley. Bordered by thickets of high-rising timbers on all sides, the idling haze seemed to stand still among the trees, permeating the deep forest, illuminated faintly by the warm yellow and orange hues of the rising sun. Creeping just over the horizon, the lone star in the greyish-blue sky seemed a concave iteration of itself as the distant mountains sitting on the skyline cut into its perfect form. Few animals made a sound; in a pastoral setting so removed from the many towns and small villages scattered throughout the Land of Fire, it was an oddity too odd to go ignored. The silencing of singing birds and chirping insects, it was almost as if they were fully aware of what was to come. In the middle of that muted pasture stood a man in wait. His posture alluded to it, how his hip was somewhat cocked to the side. One hand raised to his face, sparks of a lighter light the plumes of fog around him. Realizing the futility of it, he let the hand fall to his side, inserting the flint lighter back into the pouch of his dark brown flak jacket. The long, crimson sleeve over his right arm fell past his hand, concealing it and whatever might’ve lied beneath it from view. Long, dark hair fell from his crown to the frame his face, some strains curling over and down the crimson headband tied around his forehead. Directly on the face of the metal plate over his forehead, there were two aligned and square-like stone symbols. A jagged cut ran the length of the plating. Wiping his hair matted hair to the side, he let his head tilt back as he took in the fullness of the clearcast blue sky overhead. It was a fleeting beauty, one that would soon be consumed by the dark sheet of storm clouds rolling in from the east. All in all, though---it wasn't a bad day to die. Alright, y'all. Here it is. This will be a simulation fight for you guys. Objective is simple: kill or capture him. You guys will play shinobi sent to apprehend him for top-secret documents he has allegedly come into the possession of. However you guys want to do this---whether your characters are all from the same village or different villagers on a joint mission---is up to you. Point is, its a duel. 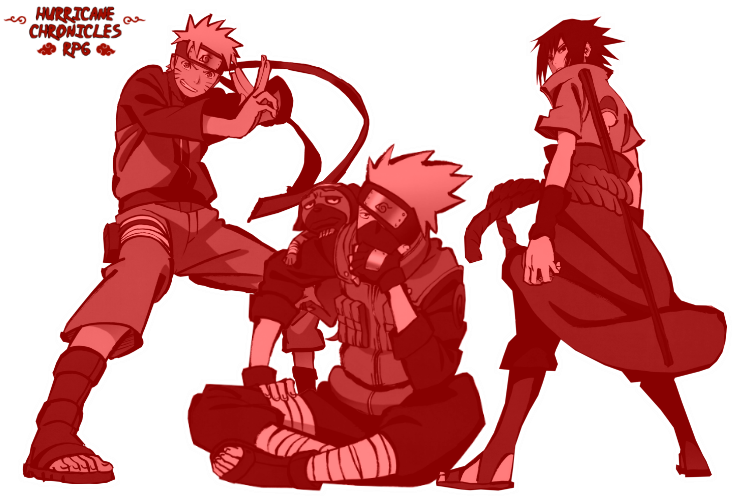 You guys will each have a character that has up to 20,000 Chakra and 15,000 Chakra Control. Make their stats however you'd like them to be. 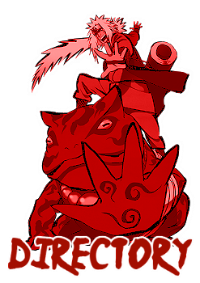 Your characters can have a maximum of 15,000 Chakra Control which is enough for two chakra natures IF you put at least 7,500 into Ninjutsu. Remember, you have to have some points into Kekkei Genkai to equip advanced natures to it. Use the general jutsus in the Scroll of Seals thread. Saka and Kain, you can equip the custom jutsus you made that were approved. Remember your thresholds, people. Remember not just your equipped jutsu, but your stat techniques, too. Check the Stat Techniques thread there. The day is as always a busy day Tame, as he have received some important mission from the Mizukage. For him, failure is not an option, he has to by any cost or way completed the mission given to him. Tame is a jounin ninja from the village of the Hidden Mist who is known for his clean kill of his opponent whether he is entrusted with a intervention mission. It has been rumored that the one he after is an infamous missing ninja from his village known for the act of many killing and cruelty and even leakage of information regarding the village to other villages. His mission is simple enough just to capture him or kill him if necessary. Many villagers had tried before to capture him but to no avail it never succeed. To increase the possibility of the mission success, many other villages have lend their hands by sending more ninja to help Kirigakure in this mission. Tame is sitting by the tree, carefully scanning is way throughout the misty forest. The presence of mist in the morning in the forest has somehow limited the sight of many ninjas as for those only with exceptional skills is able to sees through the mist and proceed. " That guy is sure clever as hell, using this route in order to space out the ninjas that are after him." thought Tame as he jumps from one trees to another , seeking closure towards the target. As a few minutes after that, he could sees the presence of figure standing in between the foggy mist. that silhouette almost Tame sure that he is the one they have been looking for ad he try to concentrated his sight on him trying hard not to lose sight of him.